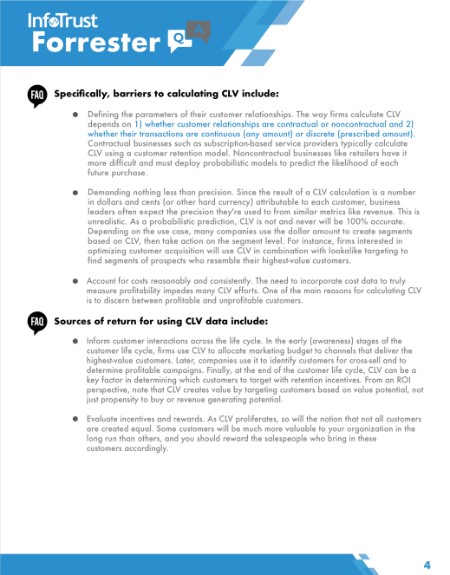 InfoTrust recently conducted a webinar featuring Forrester on Customer Lifetime Value (CLV). We sat down with guest speaker and senior analyst, Allison Snow, to gather insights into CLV. Fill out the form to download the full Q+A with Forrester and start incorporating Customer Lifetime Value into your marketing initiatives today!